« Major Losing Trade: What Should I do? Mix the brown sugar and water together in a pot and bring the mixture up to a low boil. Be sure to keep stirring it as you don’t want the mixture to burn. Once the water has evaporated somewhat (we’ll say about half way gone), mix in the butter and continue to mix (over low heat). At this point, the mixture should resemble a thick syrup. Whisk in the cream and set the sauce aside. 4 tablespoons Hot Chocolate Mix (or cocoa powder). I used Ovaltine because I happened to have a big tub lying around. The directions for the pancakes here are much the same as with the original recipe. 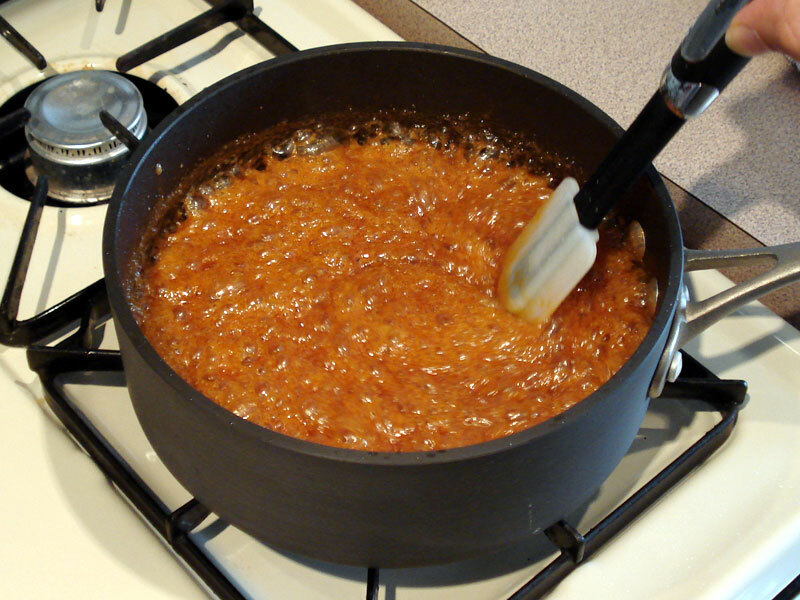 Mix, ladle into hot pan and cook. Repeat. One thing to be aware of though is that the cocoa does make the pancakes more susceptible to burning so do use a lower heat, at least until you’ve figured out your stove. Wen you’re ready to serve, warm up the sauce and pour over the pancakes. Enjoy! This entry was posted on May 5, 2008 at 7:20 pm and is filed under Art, Literature & Culture, Food & Drink with tags caramel, cooking, pancakes, recipe. You can follow any responses to this entry through the RSS 2.0 feed. You can leave a response, or trackback from your own site.